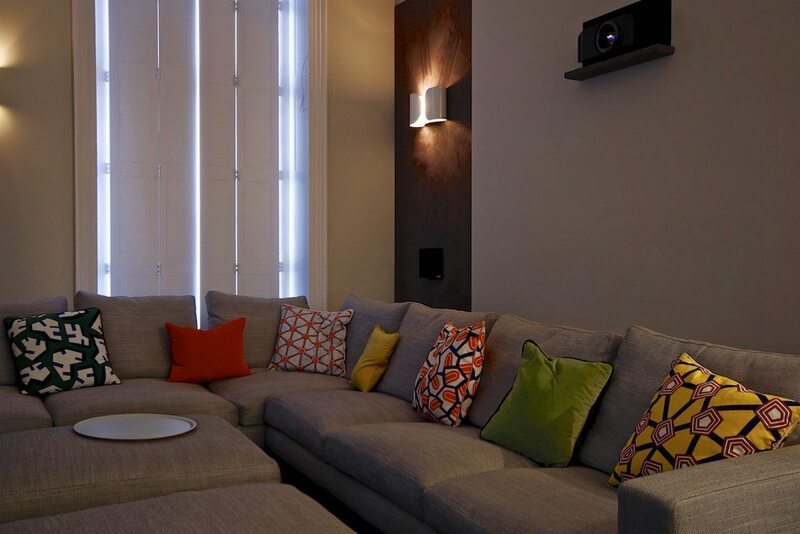 Circle Automation is no stranger to creating bespoke installations for its clients, but this London Media Room is something special. Featuring bespoke joinery and packed with technology, those who love the finer things in life will immediately fall in love with this space. 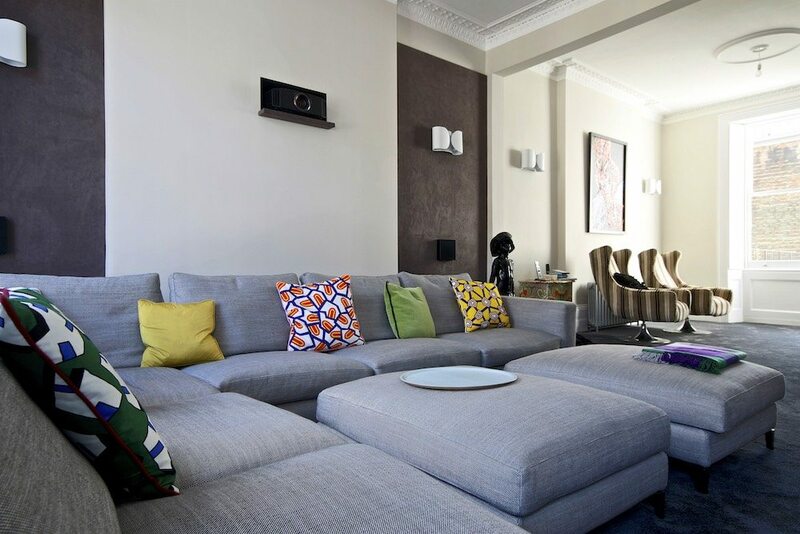 Located in the heart of London, this home was bound to get the Circle Automation touch at some point, after all the company worked its magic on the client’s previous home. 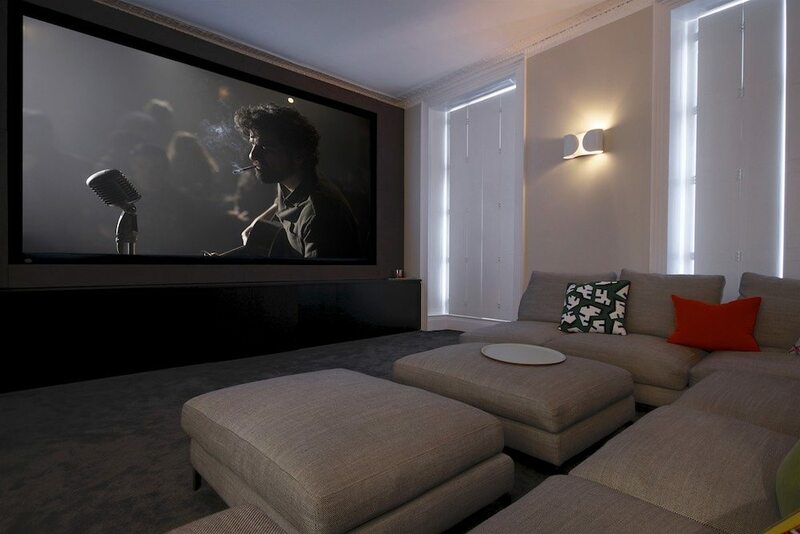 This time the installation firm was brought on to design and install a media room, as well as equip the home with a new technology system for controlling all the kit. Given this pad was in the middle of the UK’s busiest city, space is typically at a premium – thankfully, that wasn’t exactly the case with this property. With the room’s high ceilings presenting a challenge to the team, while the client wanted the largest screen possible. “The client was keen to retain the original character of the room. Our challenge was to integrate all the components and equipment in a sympathetic manner and not to lose any of the features of the original room, such as the ornate coving detail,” notes James Major, director at Circle Automation. 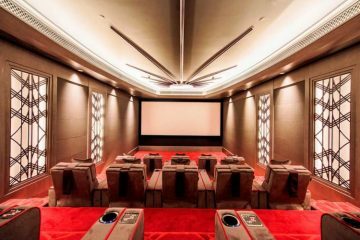 The main part of the room was dedicated to the cinema, with a 160in acoustically transparent Screen Excellence projection screen. 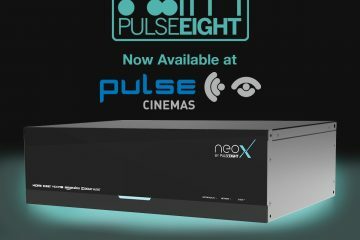 Joinery for the front of the cinema was designed and installed by Circle Automation to house the Onkyo amplifier, 4K Oppo Blu-ray player and Artcoustic subwoofer. Careful design of the system was paramount to the performance of the sound within the room. The Artcoustic system consists of three front channel speakers located behind the acoustically transparent screen; two rear channel speakers and a bass speaker for the lower frequencies which was housed within the joinery. The 4K JVC projector was discreetly mounted in a recess in the rear wall. 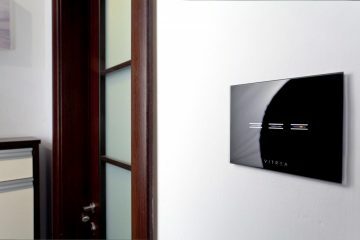 Wall hung fabric panels were included to enhance both the audio and visual aesthetics of the room. 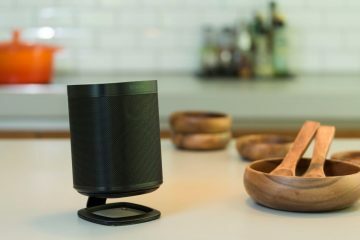 While the installation couldn’t have been improved, due to budget constraints, there were a few things that James wishes could have been included. 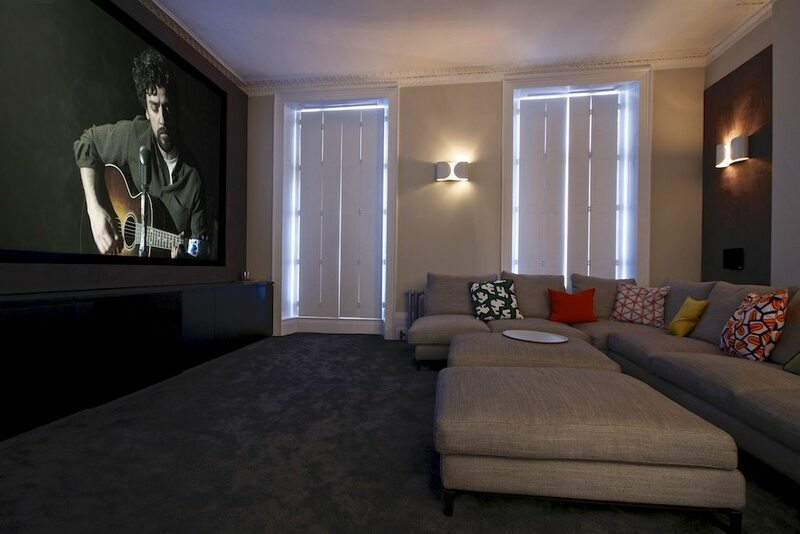 He notes: “The client relies on window shutters to keep the light out – automated blinds were discussed, but it was decided that they would detract from the aesthetic of the window, they would have been a great addition to the system however & really help to further enhance the whole experience of a cinema/media room.” The addition of Dolby Atmos overhead speakers would have also been welcome. Along with the design and equipment installation of this project, Circle Automation also carried out the cabling, ensuring that the supporting infrastructure was installed to the highest standard. 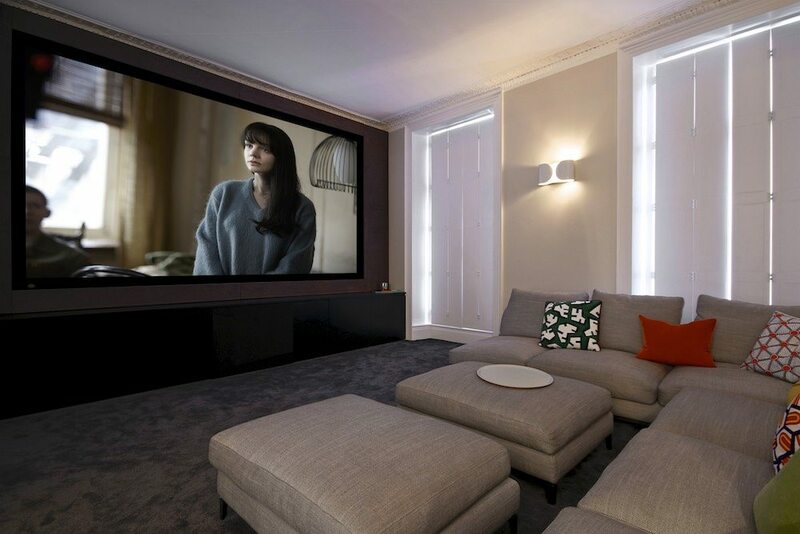 As a media room, the client didn’t want to install traditional cinema seating so an L-Shaped sofa with multiple footstalls was chosen to complement the relaxed feel of the open space. The music area of the room incorporated individual modern wingback chairs. 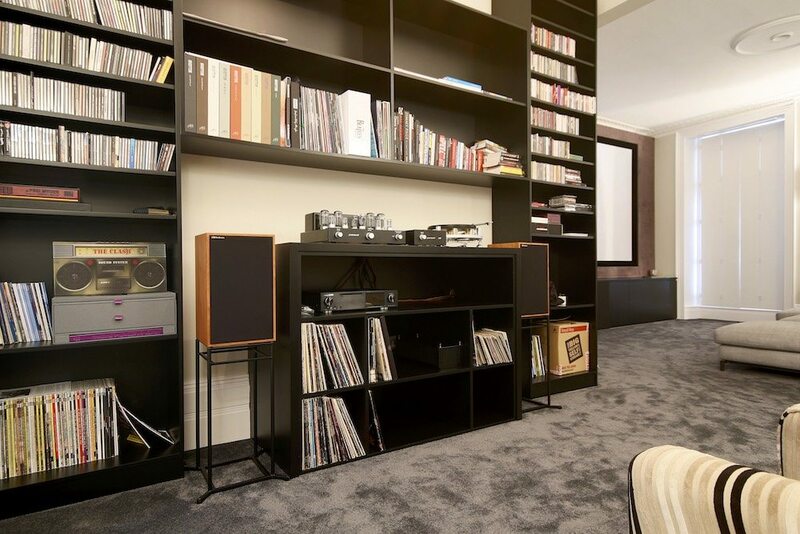 The remaining part of the room was designed with bespoke joinery to house the client’s personal music collection and HiFi, creating a dedicated space for the clients to sit and listen to their extensive record collection. 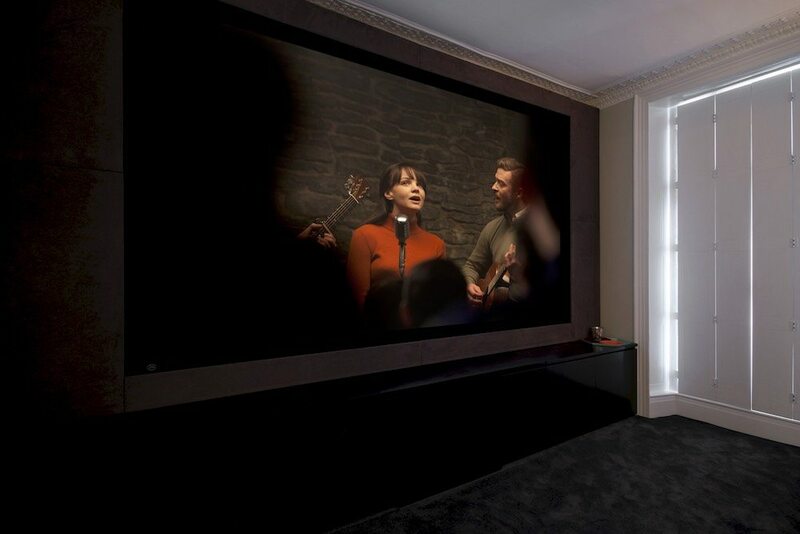 A Savant control system was chosen to control the media room along with the rest of the AV and lighting installed in this London residence. With media installations from Circle Automation starting at £10k and up, this installation was by no means expensive, at just £30k, including the joinery cost. 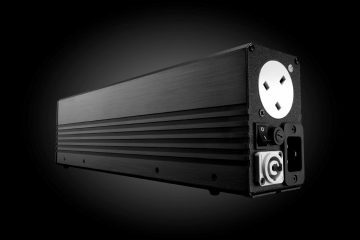 It also seems like it was good value for money, with James noting that the client was ‘overwhelmed by the sheer scale of the projection screen! They receive regular comments on the incredible room, and how fantastic the room is for watching films and also sporting events with friends and family.